The Pittsburgh Steelers' relationship with All-Pro wide receiver Antonio Brown is quickly becoming untenable. What initially surfaced as a feud with quarterback Ben Roethlisberger that caused Brown to go AWOL during the final week of the season, has apparently been a much more long-lasting problem. 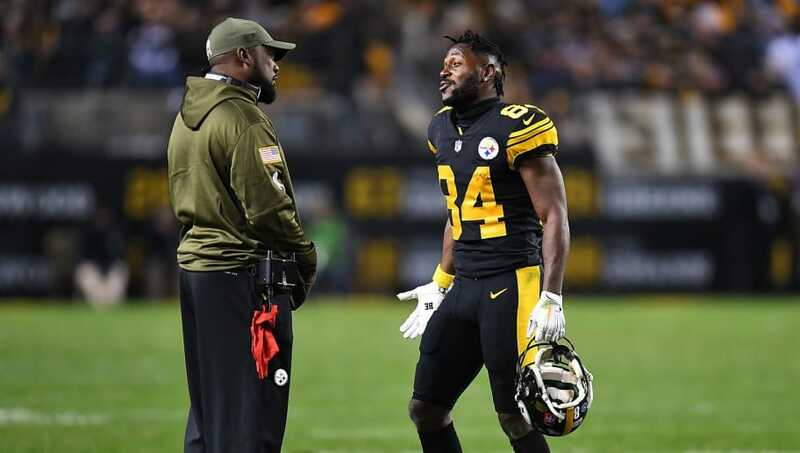 So much so that Steelers head coach Mike Tomlin has reportedly been planning Brown's departure from Pittsburgh for years. According to these reports, Brown had been chronically late to meetings, had a rocky relationship with Roethlisberger and a unique dynamic with Tomlin for years. All of the issues that Brown caused for the team were ignored because he was one of best receivers in the league. When you have a player setting records every year, it's a lot easier to look past the drama and focus on how he helps you win games. Nothing that Brown was doing was inherently harmful or bad, but it was a distraction and this year it finally boiled over. So needless to say, it seems Brown's time in Pittsburgh is going to come to an end sooner rather than later, even if he is still producing at a top level. He had 104 receptions for 1,297 yards and 15 touchdowns in the 2018-19 season, but at some point, the drama outweighs the production. This all raises the question as to why the Steelers made such a large financial commitment to a player that they may have already known they were going to move on from in the past. Although considering Brown probably would have held out if offered less, they were in a tough position. Over the coming months, we'll see if that contract is something that forces the Steelers to deal with Brown for another season and attempt to fix the locker room issues. One thing that does seem to be clear, the times of Tomlin's patience with Brown are officially over.